The 2017 edition of the Billboard Music Awards just wrapped up some moments ago, and Drake, without a doubt, was the happiest man on the night. 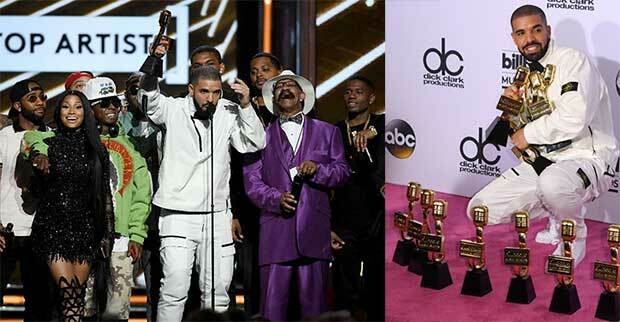 By winning 13 awards on the night, Drake broke Adele's record of 12. Beyonce also took home five gongs. Note: Billboard Music Awards nominees are based on key fan interactions with music, including album and digital songs sales, streaming, radio airplay, touring and social engagement. These measurements are tracked year-round by Billboard and its data partners, including Nielsen Music and Next Big Sound. The awards are based on the reporting period of March 18, 2016 through March 16, 2017.